I started dashing at 6pm to 830 pm. From that time, I had many orders overlapping but wasnt able to accept or decline any of them. Eveytime i tried to refresh the page it would say App failed. I lost time waiting and didnt make money. 30 + minute wait time to get through. Since the system went down my last two orders were called by the merchant and told not to pay, i should have received $61 in cash from my two Mary's deliveries but did not and because of that it isn't okay or fair that my account balance is negative $31. I would like this issue resolved and to be paid what I am supposed to be paid, even just the $30 I was supposed to make. 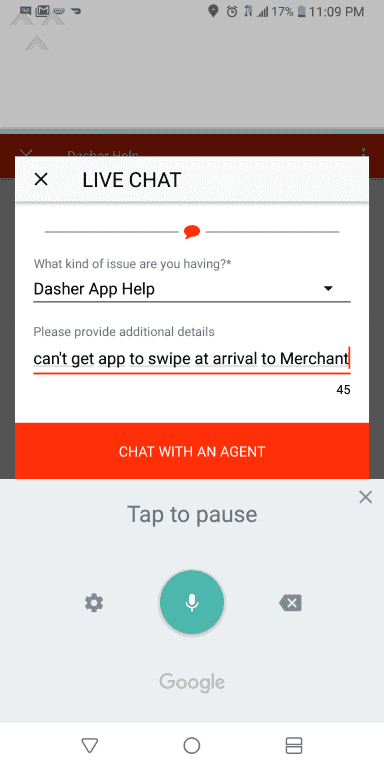 I went to a merchant to pick an order and after picking up my app went off. 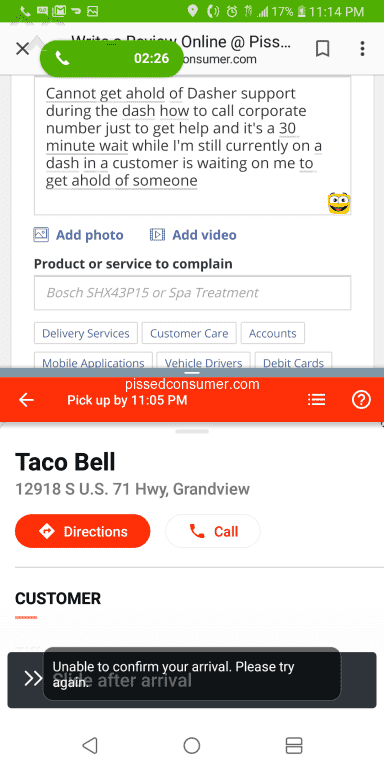 The door dash app did not let me confirm my delivery. So I did not get paid for my last delivery from chipotle. I delivered it to the costumer.